If you work in an office, it is almost impossible not to come across with at least a PDF document each working day. PDFs are part of our professional and personal lives and I cannot imagine how the digital distribution of documents would have looked like without them. 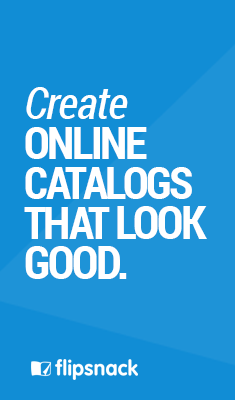 We use this format to share documents, books, portfolios, and catalogs between friends, customers, colleagues and so on. However, sometimes the classic standardized PDF format seems a little bit too dull and formal for our present days. In 2018, people are more attracted to visual data and multimedia. They prefer interactive stuff and favor the visual information rather than written messages. While the standard PDF documents support a few multimedia elements, they lack in interactivity. For a portfolio, a brochure or a magazine, we need to keep the pace with the present and give our readers more than just a blog post. What if I tell you that there is a solution to this problem, that you can present interactive PDFs to your customers, readers or fans? Let’s start by saying that an interactive PDF document is still a PDF document. There are some differences but they are not related to the format or the software you use to access the document. In other words, you need a PDF reader. There are differences of course, and they define what the interactive PDF is. As the name implies, these documents allow the users to interact with them through several interactive features such as hyperlinks, buttons, video files, audio files etc. Videos: You can insert video files into your interactive PDF document, add control buttons and customize these buttons so that they will fit your brand colors and styles. These video files are playable right from the page they’re embedded in. Audio files: Sometimes, a video is not enough or, you don’t even need one. If an audio track is just the perfect item for you, there is no problem; you can embed it in your PDF. For podcasters, this feature is the greatest thing ever, especially when you create a portfolio with samples. Hyperlinks: You can use these features to allow your readers to jump to another page on the same document, to a specific web address or to another linked PDF document. Thus, you can create documents with menus and quick access to each page specified in the menu. There are several ways in which you can create hyperlinks inside a PDF, links that will remain clickable after your PDF conversion. The good news is that you can do it from your main editor and thus, save precious time with your creative projects. Photo galleries: You can insert images in any PDF document. However, an interactive PDF allows you to overlay multiple images on the same page. You can add navigational buttons to the gallery as well. Buttons: Whether you are creating a portfolio, a brochure or an educational PDF, this feature allows you to place navigational buttons on your document and calls to action. Interactive form fields: What a better way to create engagement than by using an interactive PDF form? Yes, you can do it and you can also customize the interactive form so that it will match the document’s style and colors. Choose a tool that allows you to create an interactive PDF. You can rely on Flipsnack for it. Create an account and upload your PDF. Customize it by adding videos, photos, hyperlinks and buttons for more interactivity. Download or publish it online. Display your PDF online publicly or private. Wondering about how to make a PDF interactive? Well, in 2018, things are easier than ever. There are several software programs that allow you to create interactive PDFs but at the same time, there are online options as well. If you are a professional designer, then you are most certainly aware of the Adobe Suite and their design oriented software programs suited for all kinds of jobs and projects, including PDF creation and interactive PDF creation. However, these software programs are not quite cheap and you need to install them on your hard drive in order to be able to access and use them. For daily use, they’re probably the best choice but most of us do not need to create PDFs and flipbooks that frequently. In this case, the best solution would be an online service, a professional tool for designers to help you create interactive flipbooks and other marketing materials. You can rely on Flipsnack, which you can use professionally for all your projects, without the need to install third party software or learn specific skills in order to design professional layouts. Upload your PDF and add some interactive elements. You can add buttons, hyperlinks, rich media elements, and interactive forms. The difference between the interactive PDF forms and Flipsnack forms is that PDF interactive form fields are embedded on the page. Flipsnack forms are placed over the page as an additional layer and they can be used to pressure readers into filling the form, if you make the form mandatory. If you choose to do so, then readers will not be able to read the rest of the pages unless they provide the required information. Finally, share your finite product. Trying to put together a portfolio or a brochure? Do you want to publish a magazine on your website or blog? Well, considering the latest trends in content marketing and social media, an interactive PDF may be your best choice. Why is that? Interactive. This is the most important fact that should be considered before choosing your format. Interactive content allows you to keep your readers entertained and engaged at the same time. It also allows you to gather data from readers through interactive fillable PDF forms. Professional look. 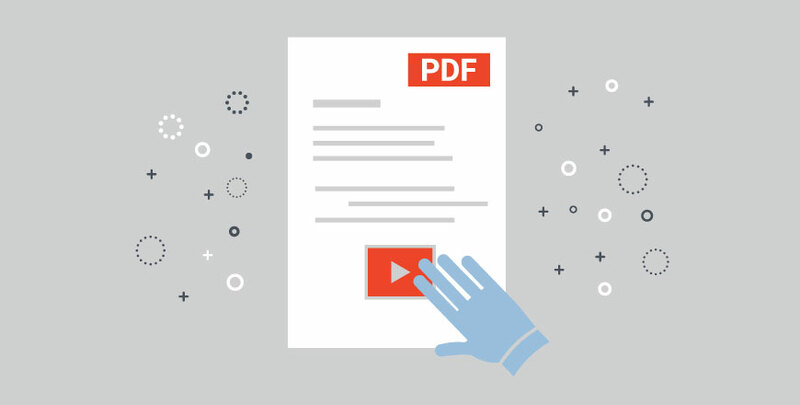 Whether you choose to publish your interactive PDF as a standalone file or as an embeddable HTML5 flipbook, you can add a professional look to it by including rich media content, stylish buttons, and calls to action. Galleries. A portfolio without galleries is nothing but a resume. You want to share with your fans, customers or readers, everything that makes you or your business worthy of their attention. Interactive PDFs allow you to create professional looking galleries embedded in their pages. Interactive PDFs can also be used as eLearning platforms for online published or shared courses due to their multimedia features. Thus, you can create an online course as presentations with galleries, interactive PDF forms, audio and video tutorials. Before conclusion, let’s take a look at some interesting examples of interactive PDFs. 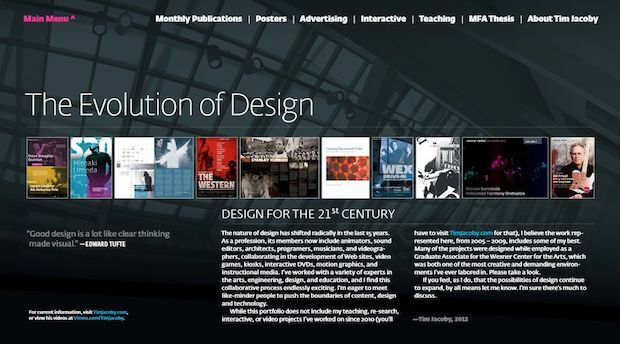 Tim Jacoby is a professional designer whose interactive portfolio speaks for itself. It contains galleries, hyperlinks, all mixed in 200 pages of content. The PDF is downloadable and you can view it with a dedicated PDF reader. 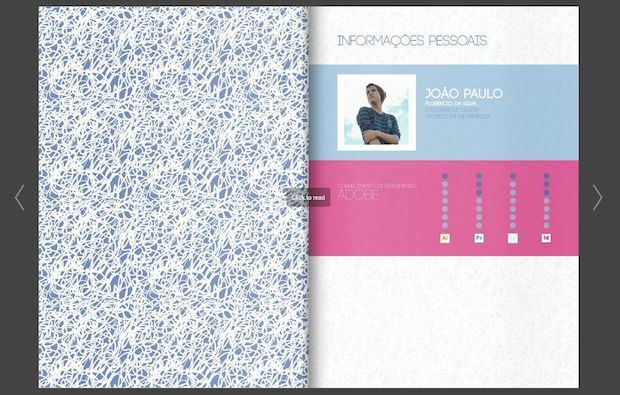 Joao Paulo Florencio has another great example of an interactive portfolio. This time, the document was created with Flipsnack and it is available online in a flipbook style. Thus, you don’t need an external viewer in order to visualize it, just a modern web browser and an Internet connection. David Gilmour is one of the greatest musicians of the last few decades. Although he is not part of the young generation, he seems to know very well how to present his music to them. His interactive PDF has everything it needs to impress: embedded audio files, embedded live video, and a gallery. Here’s another great example of an interactive PDF brochure that comes from Water Environment Federation. It’s simpler than the previous PDFs but instead, it features a cool web like navigational menu which makes it really interactive. Interactive PDFs represent a great way to present yourself or your company online. They are powerful sources of content marketing but at the same time, they may help you grow awareness on your brand and market your skills. Moreover, they are shareable, they create engagement and through interaction, they allow you to keep your fans and readers engaged and preoccupied. The conversion is easy to make with Flipsnack and the outcome is professional looking and at the same time entertaining. What do you think about interactive PDFs and flipbooks? Did you try to create such files? How intensive your experience was and how much time did you spend in adding rich media elements?